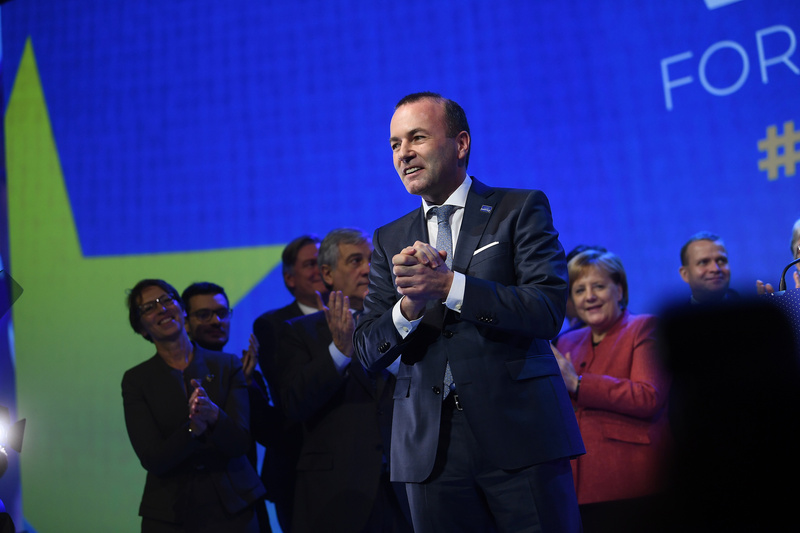 The European centre-right on Thursday (8 November) backed Germany's Manfred Weber to lead their campaign ahead of next year's European election and be their candidate in the race to become the next European Commission president. 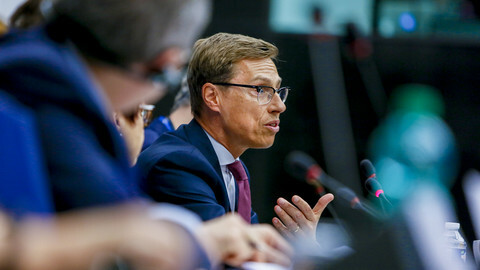 The 46-year old Bavarian politician won almost 80 percent of the votes at the European People's Party's congress in Helsinki, against Finland's former prime minister Alexander Stubb. This puts Weber in a good position to clinch the top job at the EU executive - even though the EPP group leader in the European Parliament has never held an executive job before. "The campaign starts here in Helsinki," said Weber, a Bavarian Catholic, who said he wants to build a Europe where people feel at home. In his speech at the congress he said people view the EU as an elitist project. 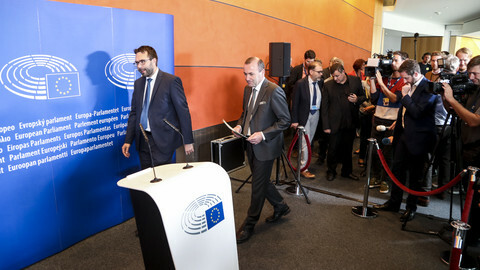 The EPP is expected to remain the largest party in the European Parliament after the May 2019 elections, although could suffer losses, and would need coalition partners to set up a majority in the parliament. After the elections, it is then up to EU leaders to choose the president of the European Commission and thus far they have not committed to automatically choosing the leader of the EP's majority. Weber told reporters that EU leaders need to respect the will of the people. 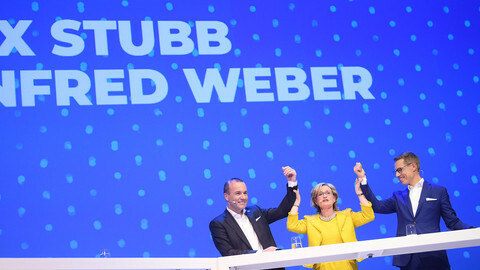 Germany's Angela Merkel and other EU leaders have all backed Weber, a conservative compared to Stubb's more liberal approach. Weber, whose task is now to take on populists and anti-establishment parties - which are expected to gain more seats in the election - also said he wants to defend Europe's Christian heritage. But Weber ruled out forging an alliance with populists in the European parliament to secure a majority after May. The so-called Spitzenkandidaten process (German for 'lead candidate') was created to galvanise voters for the European election in 2014. 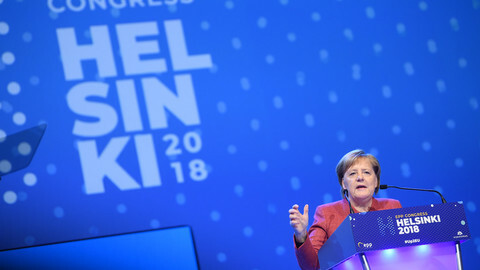 Polls after that election said that less than five percent of voters actually felt inspired by the Spitzenkandidaten process, but an internal EPP poll now said that now stands at 17 percent, an EPP source said - admitting that the hike in voters' interest is also due to the EU-wide economic and migration crises. Weber vs Timmermans vs X? Weber will run against Dutch commissioner, the Social Democrat Frans Timmermans, who is expected to be endorsed by the socialist European political family, and the liberals have - so far - not put forward a united candidate under the process. 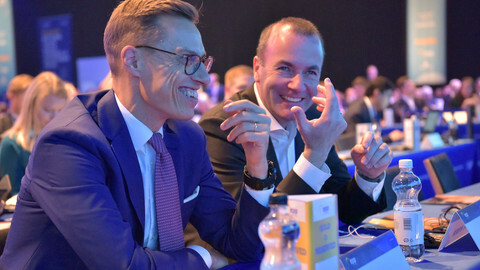 EPP delegates took pride in being the only large party organising a competition for the lead candidate position, while other parties complain that the process is designed to favour the EPP - which is this way can secure the commission presidency. "My congratulations to Manfred Weber, but it will be a tough race. 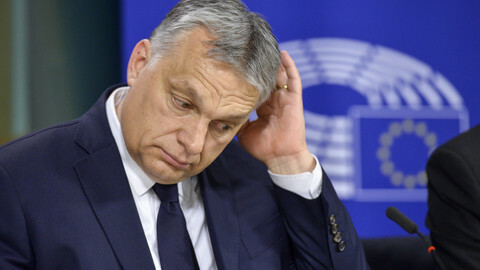 The EPP of Mr Orban and Mr Kurz is no longer a reliable partner for Europe," leader of the socialist group leader in the parliament, Udo Bullman tweeted referring to the two EPP leaders, Hungary's Viktor Orban and Austria's Sebastian Kurz, with a hardline anti-immigration stance. 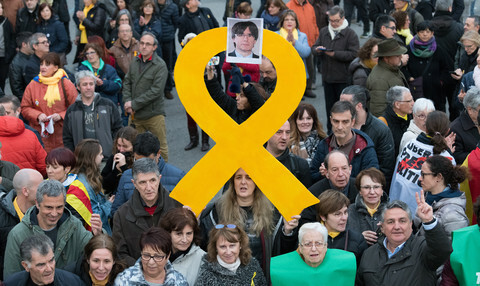 Liberals, who are meeting in Madrid on Thursday, are expected to create an alliance with Emmanuel Macron. The French president has been attacked several times at the conservative congress. EPP leaders and officials claimed Macron is only acting as the "saviour of Europe" against populism in order to dominate the headlines and divide the conservatives. "I don't need liberals or any new movement to tell us what the future of Europe is," Weber said in his speech. However, there have been concerns among the EPP that a new pro-EU alliance by Macron could sway some of the EPP more centrist members, who are frustrated by the centre-right party's inability to discipline Hungary's premier Orban, whose country is under an EU sanctions procedure for being in "clear risk" of breaching EU values and rules. The EPP adopted on Wednesday (6 November) a resolution on defending EU values in order to quieten down questions about how Orban's self-proclaimed "illiberal democracy" fits with European values of rule of law and democracy. Orban's Fidesz party managed to tone down the resolution, which does not specifically mention Hungary, by taking out references to liberal democracy. 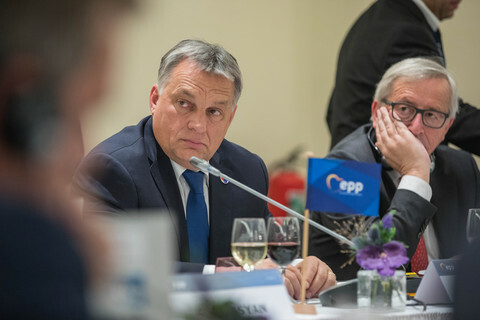 The EPP wanted to show a united front in Helsinki, but divisions remained between a more liberal-minded and a conservative wing, which is less concerned by Orban and the populism he represents. Those were clearly revealed by EU council president Donald Tusk, who told delegates: "If you want to replace the Western model of liberal democracy with an Eastern model of 'authoritarian democracy', you are not a Christian Democrat". Manfred Weber, leader of the largest, centre-right group in the EP, has announced his bid to succeed Juncker at the helm of the European Commission. But his lack of experience and handling of Hungary's Orban are already raising questions. The now-outgoing German chancellor will outline her vision for Europe in the EU parliament, as political parties gear up for the election next May. Brexit will also dominate, even though talks have yet to yield a breakthrough.